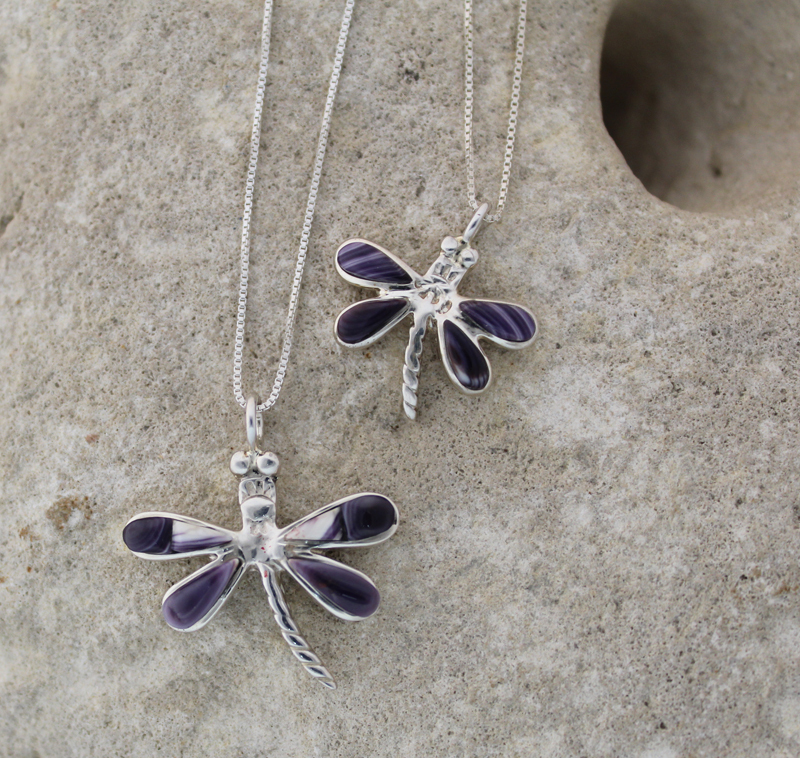 These pretty little Sterling Silver dragonfly pendants are handcrafted in our workshop. 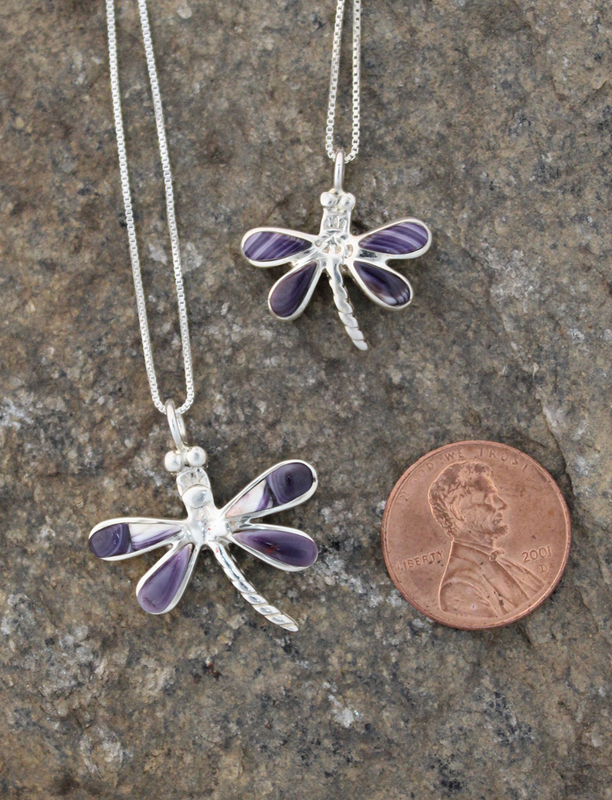 The wings of the dragonfly are inlayd with premium handcut Wampum. Each pendant comes on a 16" inch sterling silver box chain. *Shown above are the two different sizes available. Prices differ upon size; shown is Small price.